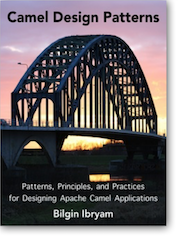 I'm excited to announce that my book "Instant Apache Camel Message Routing" is published and ready for reading! With new APIs and technologies emerging every day, the need for integrating applications is greater than ever before. With the right tools, integrating applications is not hard. Apache Camel is the leading open source integration and message orchestration framework with a variety of connectors and numerous well-known integration pattern implementations. Instant Apache Camel Message Routing will help you to get started with Camel and Enterprise Integration Patterns in matter of hours. The book, is a short, focused and practical guide to Apache Camel that provides a high level overview of the Camel architecture and message routing principles. 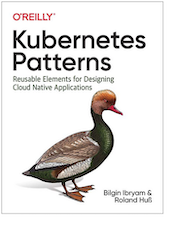 It introduces a number of integration patterns, complete with diagrams, common use cases, and examples about how to use them. It also explains how to test and monitor Camel applications and cope with failure scenarios. 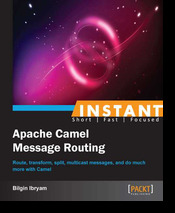 In summary: Instant Apache Camel Message Routing is an easy to read and focused book that contains only the essence of Apache Camel and Enterprise Integration Patterns. It is ideal for developers who want to get started with Camel and message routing quickly.